Do you want to learn the Portuguese Personal Infinitive? 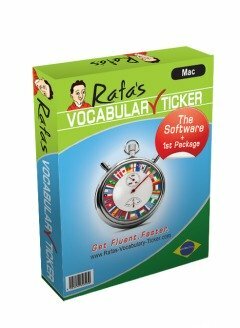 It's so easy to use and it will make a huge difference in the way you express yourself in Portuguese! As far as I know, Portuguese is the only Latin-based language using it, but the good news is, there is an equivalent in English for that. Portuguese Personal Infinitive is no more than the infinitive itself (and I mean the actual verb name like Falar, Comer, Ser, Abrir, etc). However, it can be personalised. 1. 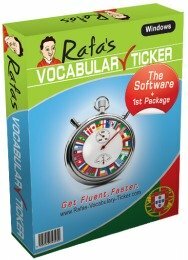 First define what verbal person you want to use (Eu, Tu, Ele, Nós, Eles, etc.). Please note that with the 1st and 3rd persons you don't nedd to ad any more letters or endings to the verb. 2. Pay attention to what expressions and contexts you can use it with. Não é mau... (It's not bad...), etc. É ncessário eu ir ao supermercado hoje. (It's necessary that I go to the supermarket today). É bom tu ires ao supermercado hoje. (It's good for you to go to the supermarket today). É importante o senhor ir rapidamente ao médico. (It's important for you sir, to go to the doctor as soon as possible). É difícil irmos ao cinema hoje. (It's difficult for us to go to the cinema today). É possivel eles irem ao cinema hoje. (It's possible that they go to the cinema today). Please note that with these expressions you cannot use the word "que" (that) after the expression you are using (e.g. É importante que...), because if you do use the word "que", you need to use the subjunctive, and not the Portuguese Personal Infinitive. The Portuguese Personal Infinitive is a form that you can use to avoid the use of the subjunctive in a large number of cases. So how cool is that? Now, more good news! As I said before, in some cases there is an equivalent form in English for that. That form is very often the ending "...ing" in English. 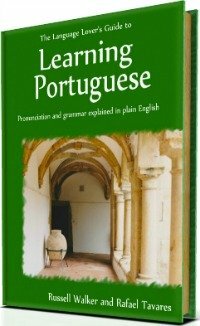 "Without studying we cannot speak Portuguese well." "Sem estudarmos não podemos falar bem português." "You won't go to work for being ill."
" Tu não vais trabalhar por estares doente. And that's it. The Portuguese personal infinitive is this easy. So now, do some exercises and go out and practise this rule with your Portuguese speaking friends. PS: If you have any questions about this page, please do feel free to ask me by clicking here . Go Back From Portuguese Personal Infinitive To Free Lessons.